Sitting down to write a blog can be tough sometimes. You’ve done your research on blogging strategies, you know how long it should take you to write your post, and you know the approximate length your post should be. Now, you have to deal with the hard part - how do you decide which topic to write about? If you’ve been keeping up with our posts lately, you’ve probably noticed a trend - blogging best practices to use when starting or updating a company blog. We chose to write a series on blogging because we noticed it was something we often get asked about by both potential customers and current clients. The information was something that our readers would find valuable and so it made sense to produce a number of blogs on this topic. If your topic choice isn’t that easy or you’re just starting out with your blog, don’t worry! We’ve come up with guidelines on ways to choose blog topics that will provide valuable and interesting information to your readers. 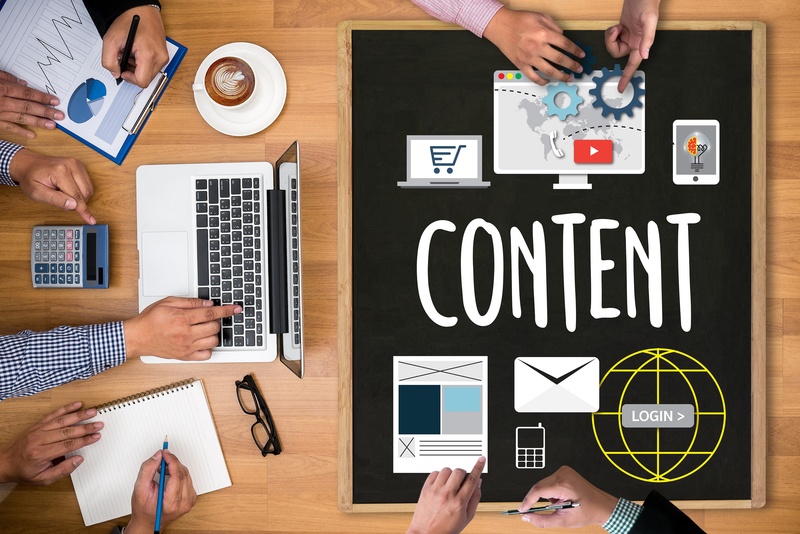 This will keep them engaged with your content and provide you with an opportunity to convert them into leads and customers. The best way to come up with a blog topic is to put yourself in the shoes of your buyer persona. Your buyer personas should be created after thorough customer research and so they will give you a detailed idea of what your target customer is looking for. When creating blog topics, keep that persona in mind. What would you be interested in reading? What topics would you be searching for? If you haven’t created a specific buyer persona, take a look at your company’s target audience. Ask what information they want to learn about and how you can present that information to them. Think about content that would be valuable to them and use that content to engage the audience. If you’d like to create your own buyer persona for your company, download our Buyer Persona template. This is the same form we use to create our own buyer personas as well as buyer personas for our clients. Research is essential when creating an inbound marketing strategy. Just because you feel like your readers want to hear about a specific topic doesn’t mean it is something they are actually searching for. As we mentioned before, buyer personas and target audiences are created after thorough customer research. Doing this research allows you to get to know your personas and audiences. If you project what you think they want onto them, you might not be truly writing about things they would find valuable. Once you’ve established the areas that your buyer personas or target audiences find valuable, you have a great pool of topics to choose from. A good resource, once you’ve reached that point, is to enter those topics into a search engine like Google. More often than not, Google will suggest questions based off of the topic you are typing into the search bar. These are popular queries that people have searched for and will not only give you ideas for your specific post, but could also help you come up with a similar post as well. As an example, we typed in “how to write a blog” into Google. We got some great results for that search, but we also got suggestions on other topics people are searching. These topics include "how do you write a good blog article" and "how to start a blog post." We can incorporate these answers into our post or if we have enough information, we can choose to write an entire separate post on these questions. While keyword research is great to learn what people are clicking on, studies show that keywords are no longer the number one factor when it comes to SEO and page ranking. Focusing more on the actual content of your blog, or even website, will produce much better results than basing your entire post on keywords. Once you determine the content topics people are searching for, you can include keywords in your text to further prove to readers the post is relevant to their search. However, since Google’s algorithm focuses more on content than specific words, it is more important to match your content to your target audience rather than a keyword. One of the best ways to determine a blog topic is to listen to questions you get asked during your sales process. These questions will tell you exactly what your target audience wants to know, because it is exactly what they are asking. If you get a specific question asked all the time during your sales process - great! Write about it. You can also use this as a positive way to have your sales and marketing departments work together. Ask the sales team to come up with a list of FAQs and turn those into blog topics. Another benefit of using these questions as blog topics is when they do get asked in the sales process, the blogs you’ve written become a great tool to follow up with potential customers. When you get off the phone, send them a follow up email referencing their question and include the link to your blog post for further information. Content calendars are important to have to create a consistent marketing message. However, you should never get so caught up in your calendar that you miss the opportunity to provide valuable information. If you have a whole schedule of blog posts written up, that’s great! It makes it easy on you and your team to work together. Don’t be afraid to veer off of that though, if a question or topic gets brought up by a customer or team member. The ultimate point of blogging is to provide valuable information to customers as a part of an overall inbound marketing strategy. If the topic is relevant now, you don’t want to miss the chance to offer your voice as an authority on the subject. You can always go back to your calendar the following week. The key takeaway from this is that blog topics should be based off of research and buyer personas or target audiences. Once you have determined what your target customers will find valuable, you will be able to come up with blog topics based off of that information. Don’t be afraid to use common questions or highly searched questions as topics - there’s a reason they’re popular and that’s because people want to know the answer! Just remember, blogging is about providing your customers with information that they will find relevant and valuable. Doing so will establish your business as an authority on the subject and keep you relevant in their minds for future purchases or transactions. Are you interested in learning more about how blogging can be a part of a total inbound marketing strategy? We'd love to get started chatting with you! Request a free Marketing Assessment below.